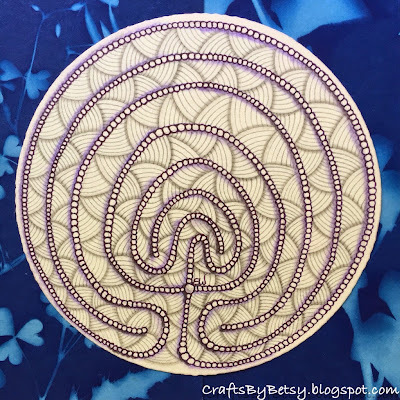 The Diva's 215th challenge goes hand in hand with World Labyrinth Day, 5/2/2015! 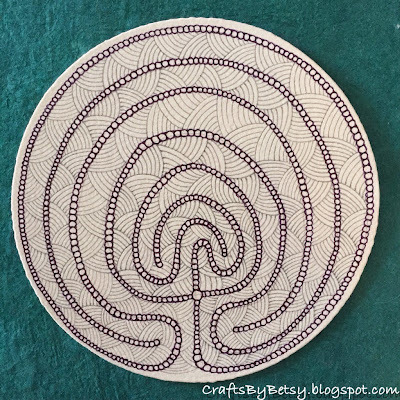 I used the link provided by Laura to draw my labyrinth. I will fess up to needing to erase my string and start over again. Once I had the string figured out, since I used only one tangle, the tangling went easily. Two photos, before and after shading. I used a purple Sakura Pigma Micron and a cool gray Copic Multiliner with shading in graphite and colored pencil. Very nice! That Sakura purple sure is dark isn't it? Yes! Sometimes I have trouble telling the sepia, purple and black apart. The more I work with the purple tho, the more I like it! very nice tile, looks like a place to visit. 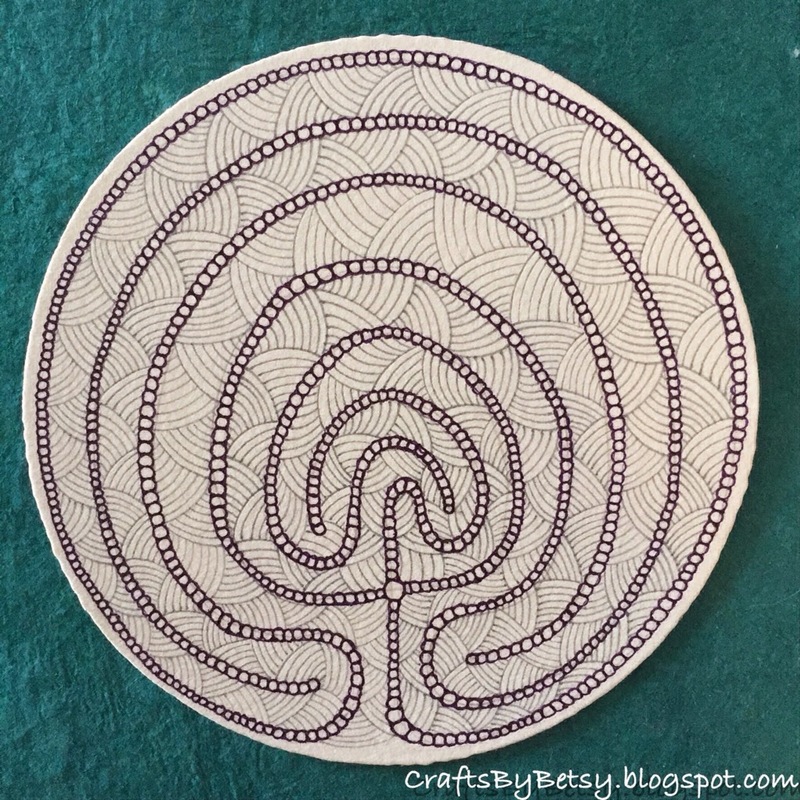 Your labyrinth is absolutely beautiful! I love Shattuck on the background!!! I like it! Purple is cool! 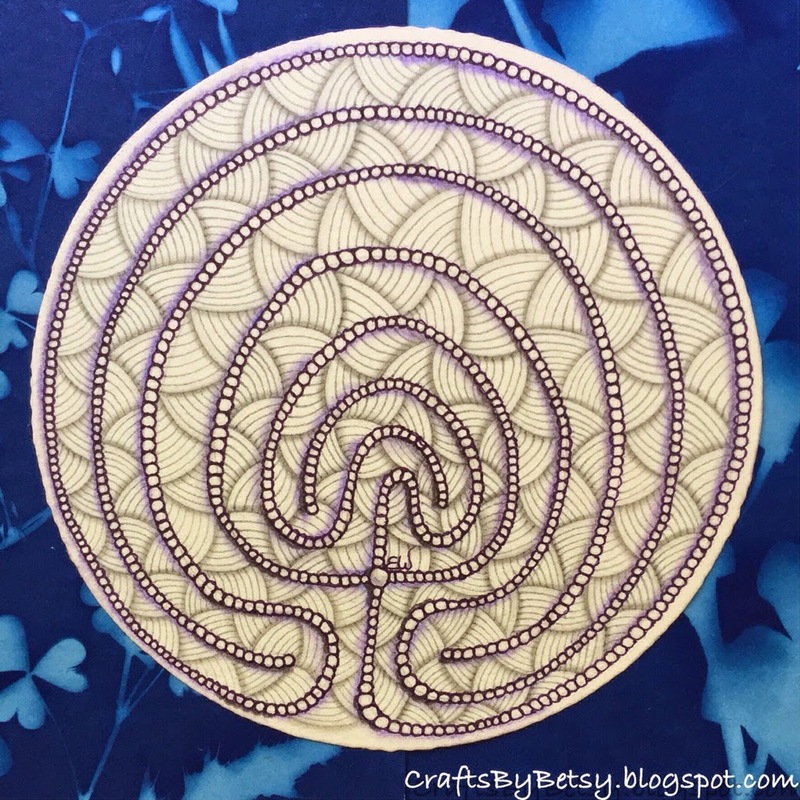 Super lovely…I think I've never seen a labyrinth tangled better! I have never worked with that purple...will have to give it a go. Beautiful work...so evenly done! And the shading really changed things.